WINDSOR, Ont. — Canadian parts suppliers, worried that the protracted U.S.-Canada trade battle will inflict permanent economic damage on this side of the border, are urging the federal government to adopt a more aggressive stance against American protectionism. 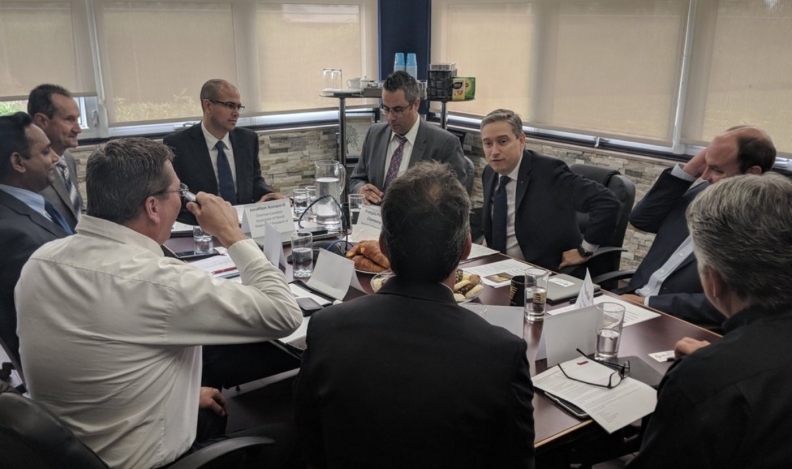 “We just lost an order to a U.S. competitor,” Larry Dalaey, president of Windsor, Ont,-based Aarkel Tool & Die, said Friday during a meeting between the Canadian Association of Mould Makers (CAMM) and federal International Trade Minister Francois-Philippe Champagne. “We just started up a new division in the energy sector, and our customer in Denver just wouldn’t place the order with us. Canada’s manufacturing sector is reeling from recently imposed U.S. tariffs on steel and aluminium exports, and is bracing for the possibility of 25-per-cent duties on light duty vehicles shipped across the border. Ottawa has responded with retaliatory tariffs to take effect July 1. He encouraged the mold makers to “make the case” for NAFTA as well as highlight the damage tariffs are inflicting on the integrated supply chain to politicians and their industrial counterparts in the United States. Canadian federal cabinet ministers have been fanning across the U.S., spreading the anti-tariff message. But Keith Henry, president of Windsor Mold Group, said he already has done exactly what Champagne suggested, and to no avail. Jon Azzopardi, CAMM chairman and president of Laval International, said it’s time for Ottawa to become more aggressive in its messaging.